I am very happy to welcome you to Eishin Gakuen. The next three years will be very busy for you. Some classes have been set aside for you to practice communicating in English. Are you ready for the challenge? The reality today is that English is very important in our lives. Speaking English will open up amazing opportunities for you. I am sure you will have fun learning through role play, music, movies, quizzes, and games. There is also a bulletin board for you to enjoy. I am very happy to talk to you any time, so don’t be shy. I look forward to meeting you soon. Hello, my name is Isaac. Nice to meet you. 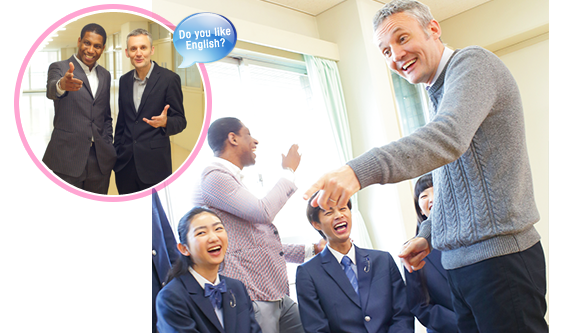 Are you keen interested to learn English with great fun, but unable to find the right school? Do you feel shy or afraid to express yourself? Or have you loss confidence in yourself? Well then, you are welcome to Eishin Gakuen High School! We have many activities that will help you build your confidence, like ESS English Club with passionate teachers etc. If you would like to know more, feel free to visit us. I hope to seeing you soon! Copyright © EishinGakuen High School.All Rights Reserved.